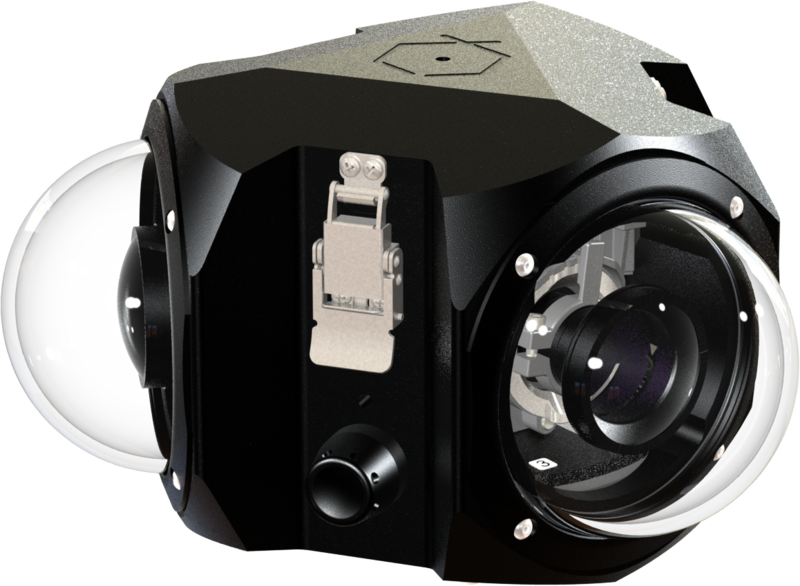 The Boxfish 360’s three large Micro Four Thirds cameras provide 4.9x the sensor area of rigs, with six action cameras, resulting in a crisper image and more detail. The larger sensors also offer improved quality at higher ISO values. In time-lapse mode the Boxfish 360 shoots RAW images, allowing you full control over image adjustments in post just like with a large DSLR. Record full resolution video for up to four hours with the optional battery extender. The included batteries offer up to 90 minutes of continuous operation. Memory cards and batteries, as well as the charge port, can be quickly accessed through the single hatch without tools. This minimises your surface interval between dives. The single access cover and charge port eliminate the need to handle each camera module individually, an important factor for a fast pre and post-dive workflow. With only three seams and precisely synced cameras, the stitching process is extremely fast and efficient. The Boxfish 360 has proven to be a very reliable product in the field. It has been used successfully all over the globe from the heat of the tropics to the cold of Antarctica with incredible results. The Boxfish 360 is easy to use. It does not require any tools to set up, and its cameras always stay fixed in the housing during charging, file retrieval and setting adjustment. That alone is a huge time saver and a key feature that allows uninterrupted operation from a small boat. Whether you're a filmmaker on assignment, or a scientist gathering data the Boxfish 360 gives you more time to capture what you want. The Boxfish 360 is the only 360 underwater rig that gives you full manual control of shutter speed, aperture, ISO and white balance—all fully adjustable. With a 300m/1000ft depth rating, you can capture to great depths. 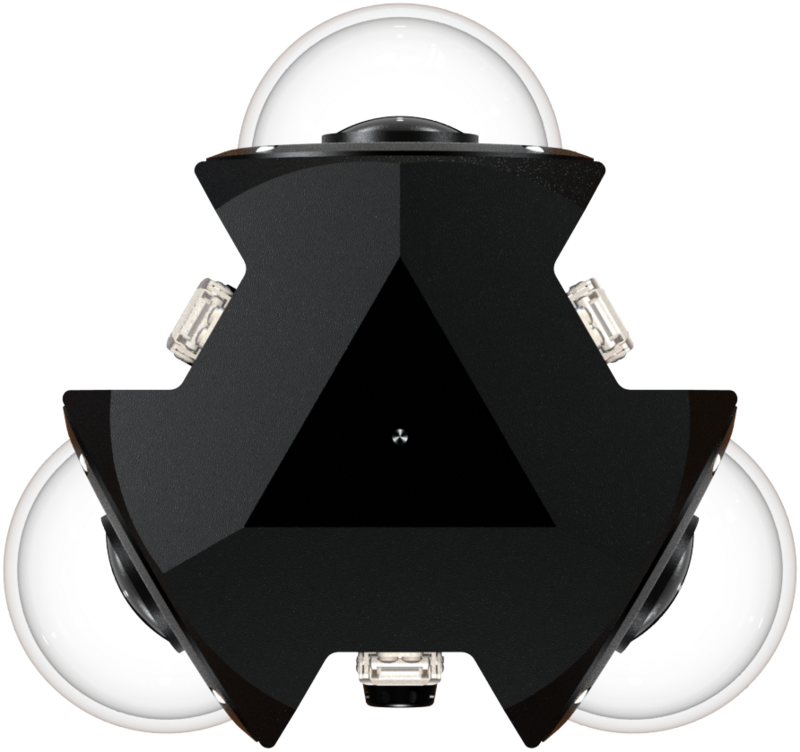 Because of the unique three camera configuration, the optional Boxfish 360’s lighting will illuminate the environment without appearing in the final video. Two 3/8" and four 1/4" threads give you a range of mounting options for monopod, tripod and lights—or mounting to an ROV or submersible. 360 video is a powerful way to transport your audience into another world. The immersive experience has the power to affect change in the mind of the viewer while educating and fostering a deeper appreciation of the sea. A 360 video or panorama provides the perfect snapshot of an underwater habitat. These snapshots are ideal for counting species with high accuracy and comparing the effects of management over time. Because capturing the whole 360 spheres reduces the workload underwater, a larger area can be covered during one dive, and the data analysed later in the lab. Onboard data collection for each frame or photo (depth, temperature, etc). High image quality allows quick species identification. Long runtime—up to 4 hours with optional battery extender. Many governmental and educational organisations, as well as sports teams, have discovered the effectiveness of immersive technologies like VR and 360 for training. Underwater video recorded by the Boxfish 360 can be used for diver training in many commercial, military, or scientific situations. 360 video provides a very cost-effective way of VR, as very few elements have to be digitally created. High-Quality recording of the real environment for realistic training scenarios. Ease of use and long runtime for cost-effective operation. Onboard data collection (depth, temperature, compass) for data overlays. Attract more patrons with immersive glimpses of the stunning views that await them, offer virtual tours for less adventurous guests or those not able to enjoy a dive in person. Or simply offer a compelling preview to those struggling to choose a dive site. 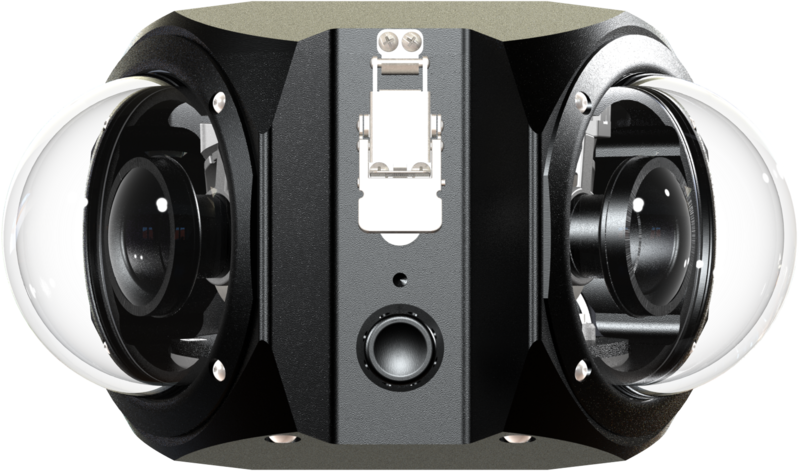 With the Boxfish 360, both can be created with high quality and cost-effectively. Efficient workflow reduces production costs. High image quality perfectly shows your unique offering. Fewer seams create a more realistic experience. Every medium offers a new opportunity for storytelling, VR/360 is especially suited for a first-person perspective that puts the audience literally into the (dive) boots of a character. Your story in 360 videos allows them to experience a visual sensation otherwise not available to them—be it about nature, adventure, or just fun. High image quality creates a realistic experience. Long runtime and reliability allow effective shooting. Full 360 ° spherical video. 5K-UHD resolution. 4-hour runtime. 300m/1000ft depth rating.